They received the word with all eagerness, examining the Scriptures daily to see if these things were so. Many passages in scripture are given unscriptural interpretations. Many sections are misunderstood or distorted and many are not rightly divided, resulting in much confusion, which often reflect a deep-rooted adherence to man-made religion. Many read into the Scriptures what they think it says, while others are moved by imaginings. If only we would believe what the Word of God actually says. For instance, when a man is born again he receives tremendous privileges, but how few understand or even accept this. He is made a child of God, a citizen of heaven and a joint heir with Christ Jesus. He is placed in union with Christ, receives the Spirit of God into his heart and is given eternal life. He is accepted by the Father, clothed in Christ’s righteousness, eternally secure and loved by the Father. These incredible privileges are scriptural facts, found in the Bible and resting on God’s unchangeable nature. How foolish to defer to man-made doctrines, unscriptural traditions or false imaginings in preference to God’s Word. These unchangeable truths cannot be lost, or affected by feelings or imaginings. How strange that so few take the truth of Scripture literally, distorting God’s character in the process. At four years old my little granddaughter received Jesus as her Saviour because she believed the gospel of salvation. She received the same privileges as spiritual giants like Peter, Paul, John and James, for along with every born-again child of God, there is no partiality or favouritism with Him – we are all one in Christ, and yet we all have to mature in the faith. Rebirth into the family of God is the first step on the journey of a lifetime that requires us to grow in grace and spiritual maturity. As new believers we all set out on a journey from time into eternity. Though there is no partiality in our positional status and union with Christ, we are responsible for our spiritual growth, for we can submit to, or resist the Holy Spirit’s leading, guiding, correcting and chastening work. Many Christians start well, but unless grounded on the Word of God can misunderstand or distort the Scriptures, or be misled into unscriptural interpretations. Unless Scripture is rightly divided much confusion results, as divergent standards of interpretation identify deep-rooted adherence to man-made religiosity, as scripture is taken and unnaturally twisted, misrepresented or spiritualised. 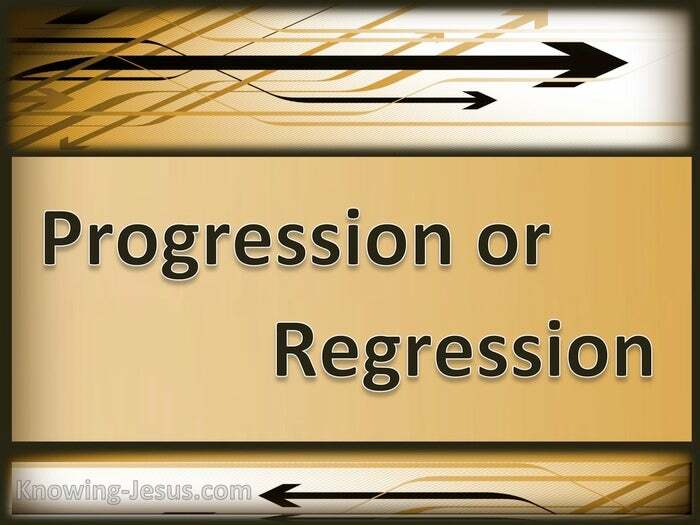 Every believer is on one path or the other, progressing or regressing.. maturing or slipping back into spiritual immaturity. Scripture provides all we need for a victorious Christian life. Let us study to show ourselves approved and search the scriptures daily, so that we will not be misunderstand of distort the truth of scripture. nor be misled by man-made doctrines and illusive imaginations. 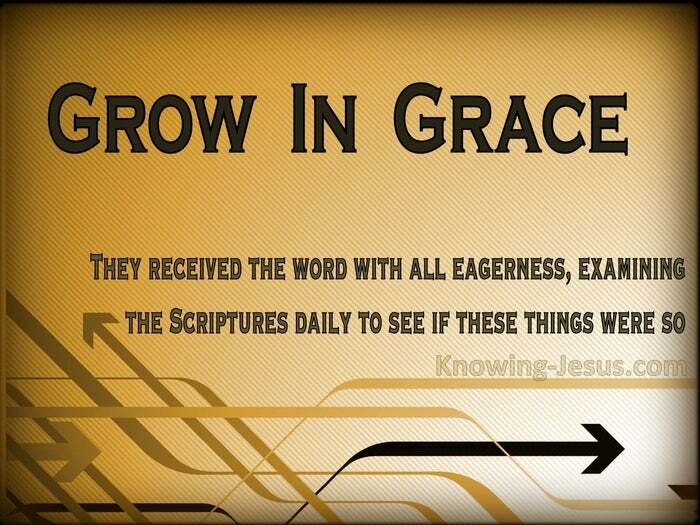 Let us receive God’s Word and examine it with all eagerness, so that we may grow in grace and mature in the faith.